The Circuit d’Alcarràs in the Spanish province of Lleida was host to the only double header round for the GP85 Class in the Spanish RFME Campeonato de España de Velocidad National Championship. 13-year-old Canadian Jonathan Finn and the XCTech team were eager to put the technical misfortunes experienced at the previous two rounds behind them and focus on strong race presence during rounds 3 & 4 at Alcarràs. With three practice sessions on Thursday and Friday each, Finn’s ability to adapt to another new circuit showed every session out as his lap times continued to drop. “Both practice days I was able to find time and improve every time out. I was really happy with my progress and knew I could go faster. I just needed to keep completing as many laps as I could,” said Finn. During the second race Finn did exactly that. With rain falling as the riders took their grid positions, Finn needed to find comfort in the wet on his BeOn GP85 and ride through the lack of front end feel. “I didn’t get off the line as strong as I did in the previous race but once I got going, I was able to set a good pace for myself and battle for position.” Finn would improve on his first race results with a 7th place in the second race of the GP85 class. “I am really happy for the team. My qualifying was terrible and I just wanted to prove to everyone that I could make a strong effort towards the front and earn another top ten,” said Finn. 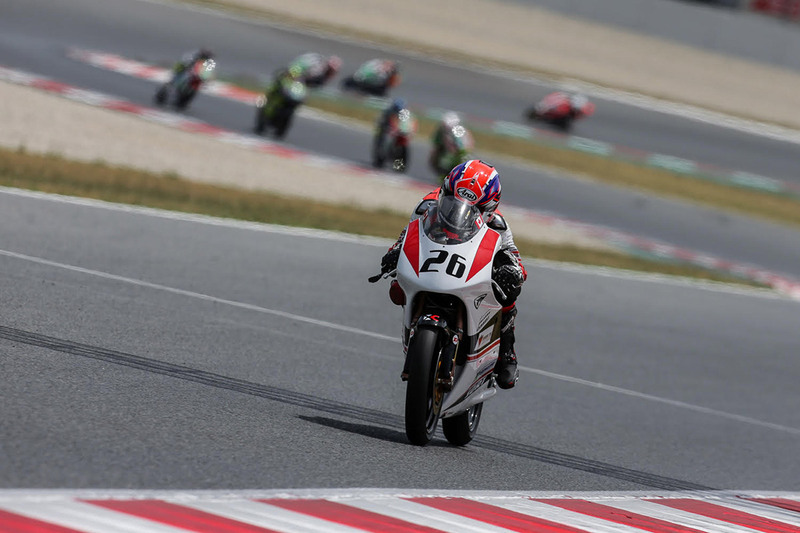 Jonathan returns home to Canada until the RFME CEV series travels to the northern Navarre region of Spain to the Circuito de Navarra (25-26 June) just one hour south of Pamplona. Finn and the XCTech Team are excited to be carrying momentum into the Navarra round and look forward to seeing Jonathan continue to push towards the front.